Dark chocolate is loaded with nutrients that can positively affect your health. 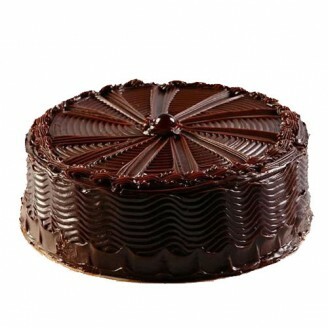 This cake is an all time favorite for any occasion. This chocolate cream cake is an extreme indulgence of chocolate as it is made up with fluffy chocolate sponge and abundance of chocolate creamy layers. The decoration is also simple yet elegant. The splash of chocolate glaze is spread across the upper layer of the cake so as to feel the flavor of chocolate in every bite.